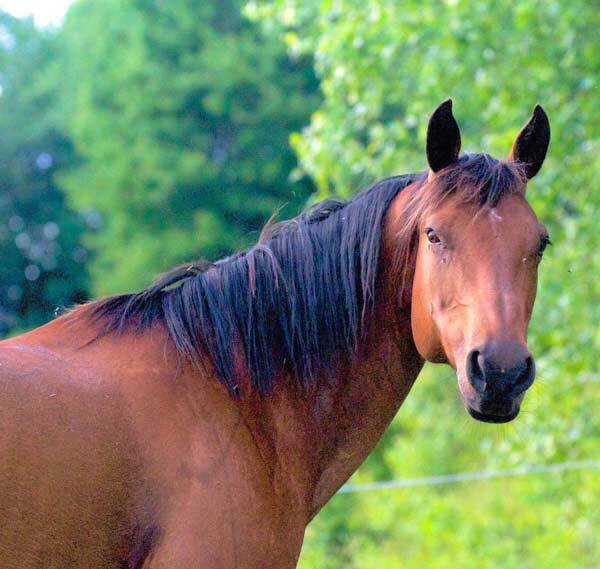 Tara was an exceptional horse – a mare with a tender heart, filled with courage and kindness. She was the leading animal at a riding school for a number of years then, during the last year of her life, she was put out to pasture, free to roam the fields. TARA’s larger than life personality and her legendary gentleness inspired confidence in novice riders who took to the horse immediately, even telling her their innermost secrets. 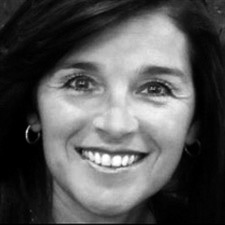 TARA had a knack of opening people’s hearts and allowing them to show their emotions. The horse was tolerant and patient with learners who often made clumsy mistakes and they, in turn, appreciated this exceptional animal, regarding her with gratitude and joy. 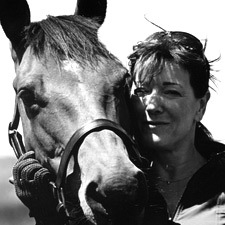 Having spent a lot of time with TARA, Hélène was deeply touched and inspired by the mare’s astonishing ability to connect with people and to help them heal, just by her presence. TARA left this world in the spring of 2015. The company’s name is dedicated to her memory. 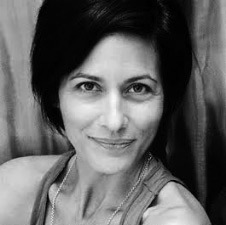 Hélène is a graphic designer by profession who also trained in the television arts and special effects in California. 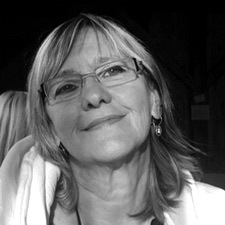 Her skills resulted in a 28-year career as a film maker in Quebec. Her career in the visual arts always inspired Hélène to take photographs in a contemplative manner, guided by the beauty and mystery of nature. 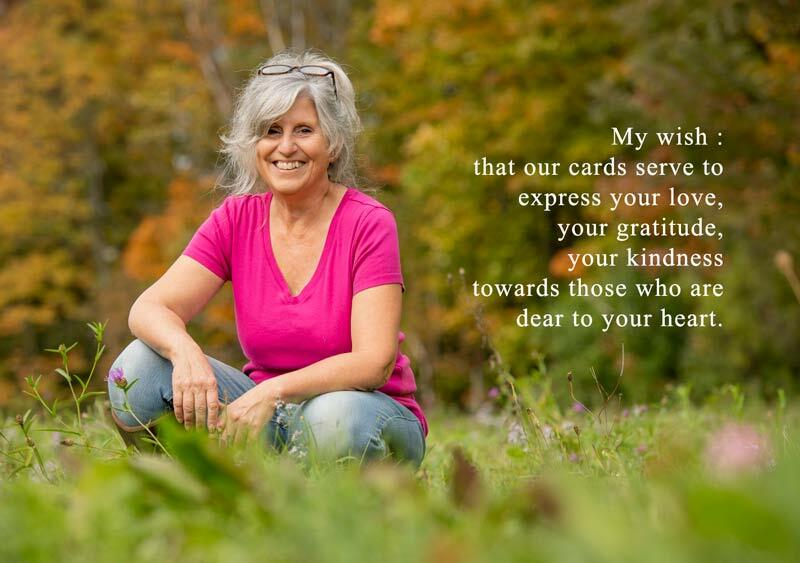 Creating this greeting card company was a lifelong dream. It was only a matter of time….. Hélène’s close contact with horses in recent years encouraged her to move forward and fulfil that dream. Marc Navert – Pierre Méthot, Antonio and Martin – Como, Tony and Carmella Pedone – Stéphane Fortin – Thierry Fadoul – Pierre Brassard – Helga Loverseed – Marie-Hélène de la Chevrotière – Jean-Philippe Rocheleau – Huguette, Clément et Martin Girard – All traders who trust us since 2015, as well as all the friends of Coeur de Tara Cœur de Tara.